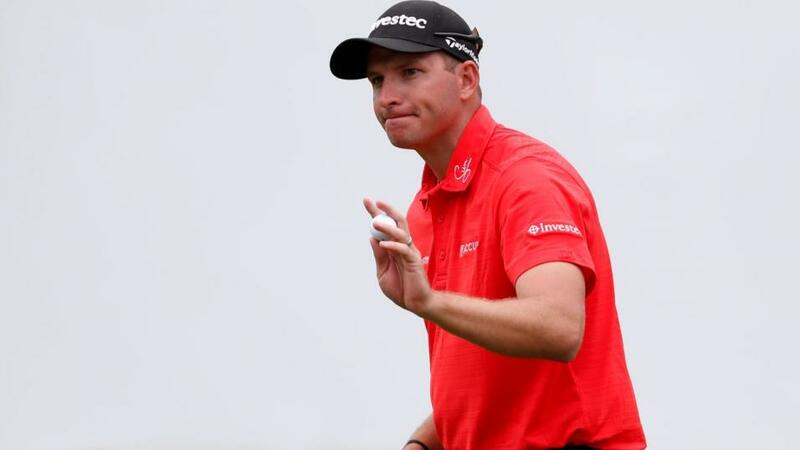 "Dean Burmester tied-fourth at last month’s DP World Tour Championship in Dubai and usually plays well on home soil." Most of South Africa's leading pros are teeing-up in Johannesburg to contest the country's national open. Dylan Frittelli, Branden Grace, Louis Oosthuizen and Charl Schwartzel are all in action and part of a massive 240-player field taking part over Randpark's two courses - Firethorn and Bushwillow. In fact, the leading 10 South Africans in the current World Ranking are among the entries for this historic open which was first staged in 1903. On Thursday and Friday, the golfers will play one round on each course, before the longer and tougher Firethorn becomes the sole focus for rounds three and four. This will be the same format as used for last year's Joburg Open, which was held at Randpark and featured another hefty-size field. In addition to the four golfers mentioned above, there may be better value from the likes of Dean Burmester, Darren Fichardt, Justin Harding and Erik Van Rooyen. Burmester tied-fourth at last month's DP World Tour Championship in Dubai and usually plays well on home soil. Another usually strong performer in home-based tournaments is 43-year-old Fichardt, a five-time winner on the European Tour. Fichardt was runner-up at Randpark when the South African Open was held here 18 years ago. Harding, meanwhile, has won four times during 2018, twice on Africa's Sunshine Tour and twice in Asia. As for Van Rooyen, the 28-year-old has been a little off form of late but was second at Randpark when it hosted the Joburg Open 12 months ago. One other home player to consider is Thomas Aiken, whose form has improved recently despite being 294 in the world. Aiken tied-10th in Turkey last month and might well be a sound each-way bet. Matt Wallace is the highest-ranked non-South African teeing-up on Thursday, while Chris Paisley defends the title he won at Glendower in January. American Sean Crocker continues to rise up the World Ranking and is currently at 184, having started 2018 outside the top 750. He travels to Johannesburg from the Gold Coast, where he tied-ninth at the Australian PGA Championship on Sunday. And heading even further down the list you'll find Tapio Pulkkanen who stood on the podium at Randpark last December and during the last couple of months has posted a brace of top-10s on the European Tour. This will be the third South African Open to be staged at Randpark, and first since 2000. When the club hosted the Joburg Open 12 months ago, Firethorn measured almost 7,600 yards, more than 450 yards longer than Bushwillow. Randpark Golf Club, which opened its doors in 1940, is a lush, parkland venue located in the norther suburbs of Johannesburg.